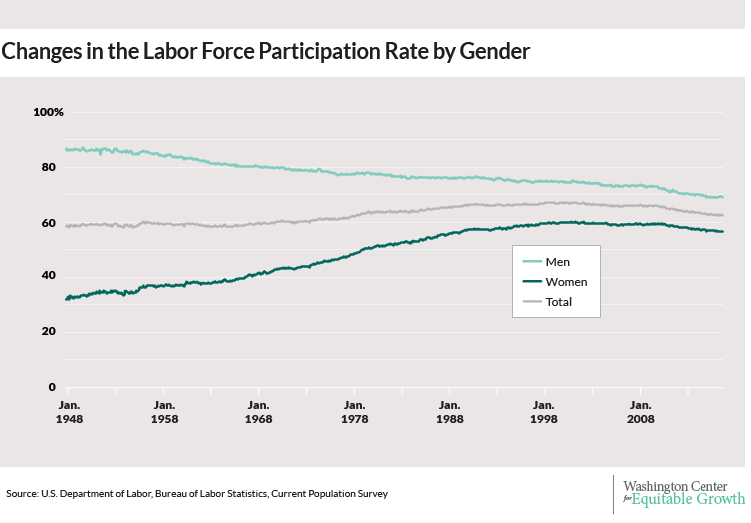 When and why women left the labour market? However, I have the impression that the feudal, or pre-capitalist societies, which were mainly agrarian and textile based, relied heavily on female labour. We can probably all picture housewives working in the field or sawing textiles. 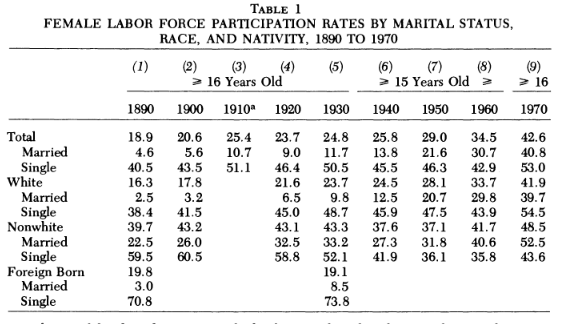 So, the question is, when and why women left the labour market? Is this because of a transition from feudalism toward a capitalistic mode of production? Or the shift from agriculture to industry? They worked at home. Like "Household Engineers" do today, doing everything working from down to dusk like their husbands, and like their husband they shared in the earnings of the household. Until the industrial revolution came each household operated like a mini business. It was the Industrial revolution that divided "work"(e.g. business) from home. They never left the workforce, They just stopped being called the workforce. Ironically with people working from home more and more we are returning to such a system. Your impressions are inaccurate. Woman did not participate actively in the formal labor market in the feudal era. Men could provide enough for their families. The participation of women in the labor market came with the feminist revolution which was active in the U.S. between 1848 and 1980. What you see in the movies is many times just not how it really was. It was unthinkable to let a woman work like a man before the feminist revolution, they couldn't vote either. Some say the feminist revolution was part of a broader set of actions taken to get woman out of the house and into the labor market in order to have a more abundant and cheaper labor supply for the economy. Also to collect more taxes and have children be educated by the state. Other actions would have been inflationary pressure. My answer would be that woman are not leaving the labor market, instead they are entering it, more each year, and is also what you can interpret in those graphs. Not the answer you're looking for? Browse other questions tagged labor-economics development-economics history or ask your own question. What does the elasticity of substitution between capital and labour mean? When was the supply and demand model first used? Exam question implies that a perfect labour market can have wage differentials? Labour Saving vs. Labour Augmenting - what is the difference?